A new website plan should reflect your company brand, while also taking into account your budget and the technical prowess of your team. Too many times, companies don’t spend enough time deep-diving into the area of web development, which can often lead to long-term business ramifications. 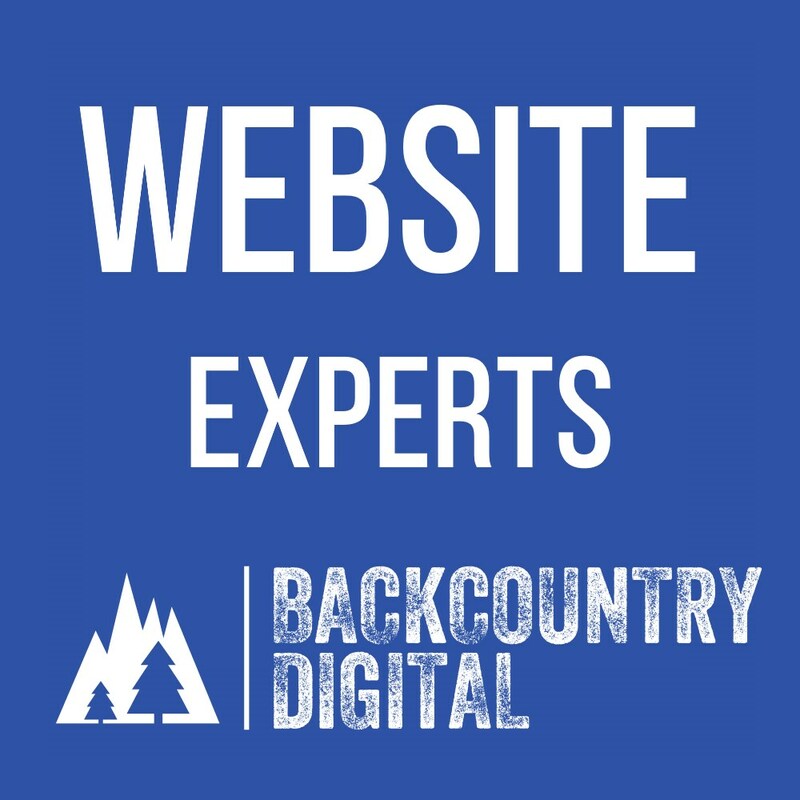 At Backcountry Digital, we view your website as part of the marketing machine. By learning how your company manages sales and marketing teams, as well as understanding the short- and long-term technical know-how that is available to you, we help reverse engineer which platforms and solutions are best for your business model. Only then do we build your website, training your team as we go. Before you launch a website, pay for web development, or even begin a discussion with a web provider, there are a couple key things to consider. At Backcountry Digital, we help walk you through this entire process. What is the main purpose of my website? Don’t get lost in the details. You can waste thousands of dollars on a custom website with features that are either not necessary or can be created using out-of-the-box solutions for a lot less money. The vast majority of businesses, especially new business, do not need an “Award-Winning” website design (or the high price tag that comes with that!) right out of the gate. Whether you are selling products or generating leads, your customers are looking for a clean, professional website featuring information about your company and a clear call to action. On the flip side, we help well-established companies geek-out on design options, custom features, server upgrades, and more, to help take your company to the next level and beyond. How and where will be website be hosted? It is important to understand the difference between a Self-Hosted and Hosted Website, including content management systems (CMS), and how the different options may affect your bottom line long term. A self-hosted website might be the right fit for you if you need special functionality for your site and your team can handle managing regular updates, or if you plan to pay someone to manage these updates long term. A self-hosted website has hosting fees plus requires the ability to manage hosting accounts or servers. Be sure you fully understand who owns your domain and your web site information if you use a web developer to create a self-hosted website. With a hosted website, the hosting company handles all the software updates for you. This option is ideal if you have limited resources, want expansive marketing features that don’t have to be custom built, or don’t have the staff or want to hire someone to manage your site. At Backcountry Digital, we are not tied to any particular platform and have built and managed web projects on all of these. Sure, we have our favorites, but what matters most is finding the best fit for your company and team, and understanding what best aligns with your marketing goals. Helping review your business model is a key element before starting with any of our efforts. Support and training keep yourself your team sharp with basics, trends or strategies.